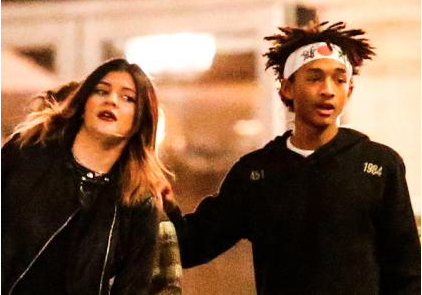 Kyle Jenner caught getting it in with Jaden Smith at the KimYe wedding. What better time to cut loose than at your big sister's wedding? Kylie Jenner brought close pal Jaden Smith as her date to Kim Kardashian's wedding and they appeared to be having a grand time celebrating Kimye's nuptials. In fact, the longtime friends were actually seen "making out" during the lavish reception following the ceremony at the Forte di Belvedere in Florence, Italy, a source tells E! News. Well, there was a lot of romance in the air! What with John Legend singing "All of Me"—live—for Kanye West and Kim's first dance as husband and wife, the flowers, the food, the fun in the photo booth... ..